In 2017/18, after a tough start to life in the English top flight (by his pristine benchmarks), Pep Guardiola more than made up for a poor 2016/17 season. His Manchester City side steamrolled their way to the summit of English football in emphatic fashion, shattering and setting a bundle of records on the way including the most number of goals scored in a single season as well as becoming the first club ever to rack up 100 points in a 38-game campaign in England. 15 games into the 2018/19 season, City sit pretty at the top of the Premier League table with 41 points, 2 clear of their closest rivals Liverpool at 39. They also have an astonishing goal difference of 38, which is at least 14 clear of the next club, Liverpool at 24. But that is just scratching the surface of what has been a phenomenal season, with Olympique Lyon being the only team in Europe to have gotten the better of the blue half of Manchester. We take an in-depth look at City’s league campaign up until now using statistics and analytics. Manchester City have scored 45 goals in the first Premier League matches this season (not one of them scored from the penalty spot). This is at least 11 more than what any team in the Premier League has managed by far, with Arsenal the closest to them at 34 goals. No team in the Premier League attempt more shots per game than Maurizio Sarri’s Chelsea, with the London club averaging 17.53 shots per game, at least 1.53 shots more than the closest competitor. That is of course with the exception of Manchester City, who average 19.07 shots per game – 1.54 shots more than Chelsea. Building on this shot data, the Catalan’s side also average the most shots on target per game in the Premier League at 7.53, at least 1.86 shots on target more than the next team. City presently average 3 goals per league game, another league high stat – Arsenal being the closest once again with 2.26 goals per game. Although Arsenal have scored 4 goals more than rivals Liverpool, the London club has far exceeded their xG (Expected Goals) thus far, sitting at a lowly 22.65. Liverpool meanwhile have an xG of 30.23, only surpassed by Manchester City with a stunning 42.83 expected goals. This is a testimony to their ability to create high-quality chances as well as highlights the sustainability of such tremendous goalscoring exploits. In terms of individual performers for Guardiola’s side, there are a host of stellar names to pick from. Their creator-in-chief David Silva boasts the best xA90 (Expected Assists per 90 minutes) in the division (for players with 900+ minutes) – 0.49. The Spaniard has been in a rich vein of form and has been pivotal for City more than ever this season. 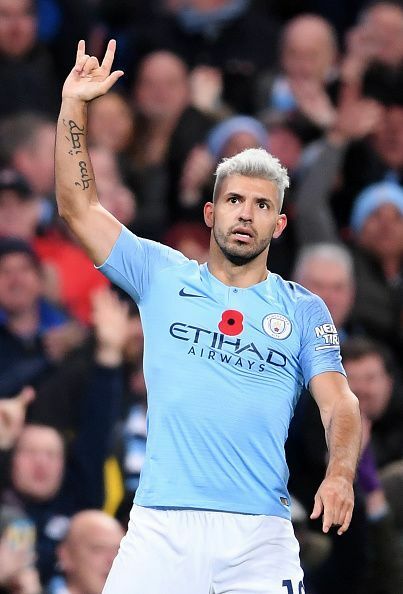 When it comes to goalscoring, Sergio Aguero – City’s all-time record scorer – averages the highest xG90 (Expected goals per 90 minutes) in the division (for players with 900+ minutes) at a staggering 0.80. The Argentine hitman also boasts the highest xG90 + xA90 (Expected goals and assists per 90 minutes) for players with 900+ minutes in the Premier League at 1.07 – which translates to either a goal or an assist per 90 played. As a matter of fact, in this combined analytical list, 3 of the top 5 play for the Citizens – Mohammed Salah of Liverpool (0.99), Raheem Sterling (0.96), Eden Hazard of Chelsea (0. 91), and David Silva (0.87). 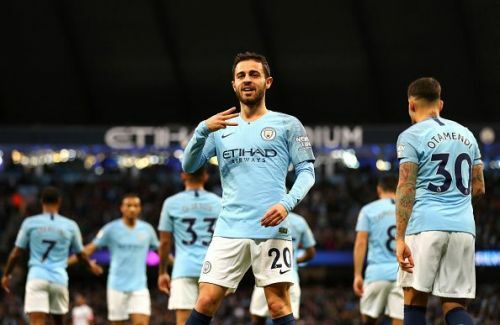 Three of City’s midfielders – David Silva, Ilkay Gundogan and Bernardo Silva are all on course to shatter their career-best totals. In hindsight, with a squad as well-stocked as Guardiola's, such feats should no longer come as a surprise. And bear in mind, all of what they have achieved up until this point, they have done so without the presence of arguably the finest creative midfielder in the league and perhaps the world - Kevin De Bruyne. He was the only midfielder in Europe's top five leagues last season to carve out at least 60 chances and put in at least 60 tackles in midfield and was City's crown prince in their attack on the Premier League during 2017/18. It is of the utmost importance to have a rock solid defence to compete at the highest level, and City have conceded the least number of goals last season know that better than anyone else. Yet, they have (somehow) managed to better their numbers from an already historic 2017/18 season. City have conceded a mere 7 goals in 15 outings thus far in the Premier League. Liverpool are the only team to better this record as they’ve let in 6 goals in 15 games. Liverpool’s air-tight defence has conceded the least number of goals this season and allow their opponents to average 8.27 shots on Alisson’s goal per game. This figure is at least 0.73 shots above the next resilient defence with Chelsea sitting at 9 shots faced and Marco Silva’s impressive Everton at 10.40 shots faced per game. Manchester City, though, allow their opposition a miserly 6.73 shots per game. 6.73 shots, which is at least 1.54 shots lesser than the next lowest, Liverpool. 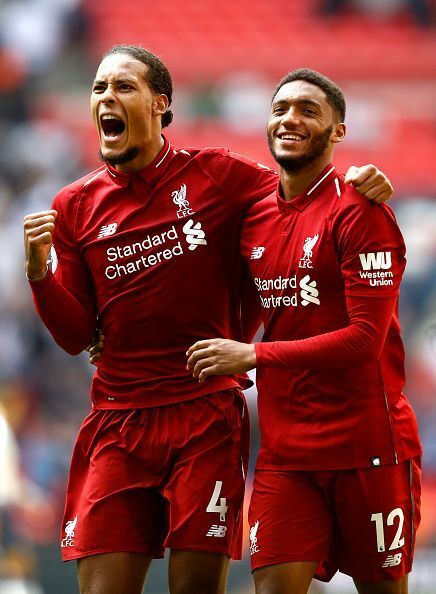 Virgil van Dijk has been undisputedly the best defender in the Premier League this season, and Alisson’s record-breaking purchase from AS Roma has also helped tighten up a porous Liverpool defence. It is, although, important to note that both teams have conceded the same number of non-penalty goals (City conceded a penalty scored by Anthony Martial at Old Trafford). City concede 2.2 shots on target per game, the least in the league, followed by Liverpool at 2.67 – the only other team to concede less than 3 shots on target per game. The previous two seasons under Guardiola saw them concede an average of 2.6 (2016/17) and 3.3 (2017/18) shots on target per game, thus further reiterating their control and defensive solidity. Club record signing Aymeric Laporte who was recruited in the winter has built a commendable partnership with England’s John Stones to provide a solid spine for Pep Guardiola. The Citizens’ xGA (Expected Goals Against) is at a mere 10.30, which is once again the lowest figure in the league, at least 2.34 goals less than the next club, Liverpool at 12.64. They have also conceded the least amount of goals in the Premier League in the last 15 minutes having conceded just once post-the 75th minute, going out to show their ability to close the game down more efficiently than any of their rivals. 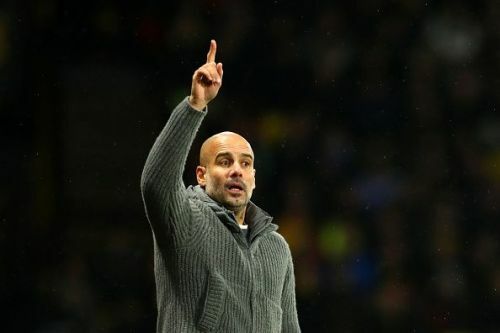 Guardiola’s men also boast the best disciplinary record in the division, accumulating just 15 yellow cards – and Brighton, West Ham and Manchester United accumulating 32 a piece on the other end of the table. Manchester City are on track to break more records, including the most number of goals scored in a single season as well as on course to shatter their own record of a 100 points. The statistics and analytics suggest that City are currently playing a different ball game to that of their rivals – and approaching the epitome of Pep Guardiola’s ‘Champagne Football’. From the looks of it, Guardiola's title siege looks unparalleled. Will there be any team in the top flight to challenge the Catalan’s blue army?